Our Certified Google & Bing Adwords tech team will customize your pay-per-click (PPC) campaign to bring you to the front of Google and Bing/Yahoo searches. Retargeted Ads will keep your business on the minds of your customers, driving them back to your site. Keywords and tags will be identified and attached to your website to give your site the competitive edge across all search platforms. 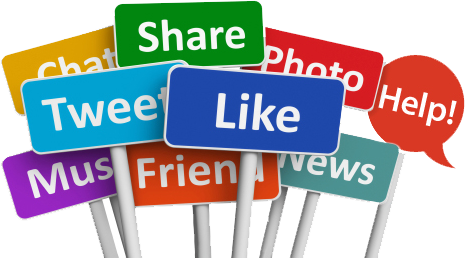 We will set up and manage your social media to drive more users to your pages and maintain relevant and up-to-date content. Your website will be built to include the tags and keywords that will work best in organic searches. Sites developed by Max Your Media are designed to convert visitors into customers. Don’t lose your customer on the move; your mobile site will be user-friendly for maximum functionality with all mobile devices. Michele and the whole team and Max Your Media have been phenomenal. Their attention to detail and commitment to our company has really shown itself. Since staring with Max Your Media, our exposure from social networking sites and search engine optimization has been more than we could have asked for and impressive to say the least. Our number of likes on Facebook and patient appointments made through online ads has gone up significantly. Michele and her team are extremely responsive and achieve the goals we set up to reach. We would highly recommend them to anyone looking to increase sales and marketing through online exposure.